Where were esports when I was a kid? Blizzard designed Overwatch with esports in mind, despite what some players may argue. The game has spawned teams competing in organized tournament play, but Blizzard envisions something more. It wants something akin to the NBA or NFL. At BlizzCon 2016, the company announced its plans of starting an organized Overwatch League (OWL). As part of any large, organized league, the base requirement is highly skilled and well-paid players. To this end, Activision Blizzard has announced that OWL players will be guaranteed a minimum salary of $50,000 per year plus bonuses and benefits. Signed players will be on one-year contracts, and teams will be required to provide health insurance and retirement benefits. Additionally, teams are mandated to share 50 percent of tournament bonuses with the team members. This extra incentive can play out to a nice chunk of change since there will be a total of $3.5 million in purse monies in the first season with one million of that going to the league champions. Teams must be between 6-12 players. So even with the maximum of 12 players, bonuses alone could equate to as much as $83,000 just in the first year. So far seven teams have been franchised including teams owned by Robert Kraft chairman and CEO of the Kraft Group and the New England Patriots, and Jeff Wilpon, co-founder and Partner of Sterling.VC and COO of the New York Mets. Most of the teams are US-based, but Shanghai, China, and Seoul, South Korea will also represent. Already established Overwatch teams Immortals and Misfits Gaming have also bought seats in the league. Blizzard says that more teams are forthcoming. Teams will start signing players on August 1, and team establishment should conclude by October 30. During this time owners will be allowed to negotiate contracts with players as long as they meet the minimum specifications. This initial signing period will be unique in that it establishes the league. 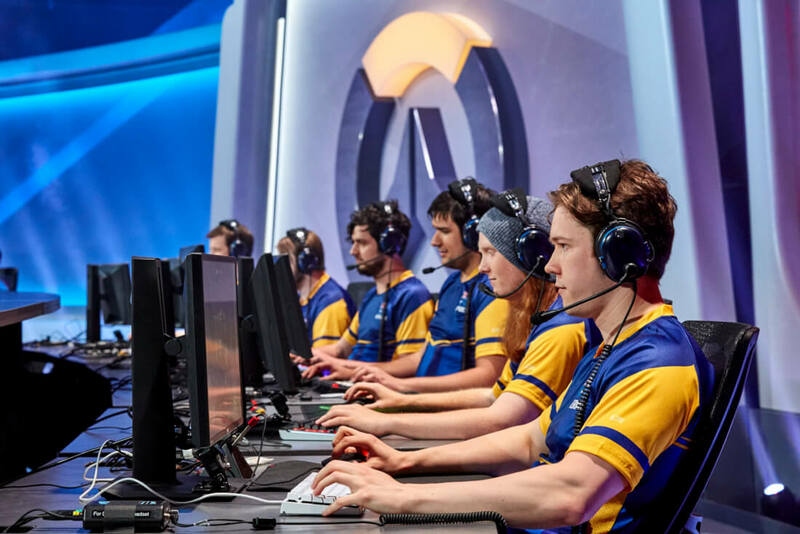 “In future seasons, the pre-season player signing process will be updated to serve the needs of an established league, its teams, players, and fans,” noted Blizzard. In other words, it will function just like any other professional sports league. League play is expected to start before the end of the year. The $50,000 starting salary is not as much as some professional League of Legends players make, but it’s not a bad wage for someone looking to play games for a living. Plus as the OWL grows, so will the salaries and bonuses. As it goes with sports economics, as the league grows, so does the purse.